In January I was fortunate enough to find myself in South Africa for a week which was a fabulous escape from the short, dark days of the UK winter but also a fantastic journey of adventure and learning about this beautiful country. Last night Charles collected our newest trophy - the Merchant of the Year for London award at this year's prestigious IWC (International Wine Challenge) awards ceremony. Charles Lea and Sam Harrop MW We are delighted to win back London, which we held for four years between 2009 and 2012. Two IWC Awards for Lea & Sandeman – Celebrate with us! Celebrate the Champagne & Sparkling Wine win with us! We were absolutely delighted to win Specialist Merchant of the Year Award for Champagne & Sparkling Wine. As you our customers will know, not only are our 'shelf' prices for Champagne consistently competitive, but also our low 'case prices' on Champagnes can almost always be enjoyed on the odd bottle mixed in with a case of other wines. L&S was Highly Commended in the national awards for best 'Large Independent Merchant of the Year' We are delighted also to have won this impressive chunk of metal, for being Highly Commended in the national awards for best 'Large Independent Merchant of the Year'. 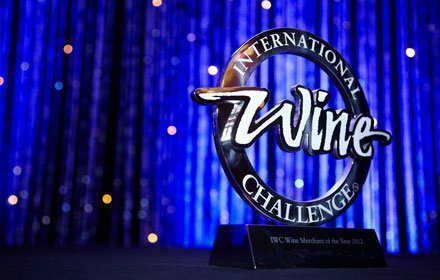 Delighted to say that we have received news that we are on the shortlists for ALL the categories we entered in the IWC – the International Wine Challenge. To be on four specialist category shortlists (Burgundy, Champagne, Italy and En Primeur) is a matter of particular pride since L&S is so much more than a regional specialist, unearthing great wines without prejudice from all over the world. International Wine Challenge (IWC) Merchant Awards Strictly Come Wine Tasting? On the 18th of July, at the 30th anniversary of the IWC awards, Lea & Sandeman was awarded 'En Primeur Merchant of the Year', All the L&S team are absolutely delighted to have been given this award by such a high-calibre panel, (Tim Atkin MW, Oz Clarke, Sam Harrop MW, Peter McCombie MW, Charles Metcalfe and Derek Smedley MW) and judged against such formidable competition. We have done it again! Last week we were awarded Regional Wine Merchant of the Year 2010 by the IWC judges for the second year running, and only the week before were Runners Up (to nationwide Majestic) as Decanter magazine Wine Merchant of the Year 2010! All of the crew at Lea & Sandeman in the office, the warehouse, Barnes, Chelsea, Notting Hill Gate and Chiswick, are absolutely thrilled that we have received such recognition for what we do in what are the wine trade's most prestigious awards, and up against some very tough competition, warrant holders and all! Much of this is down to the support of our customers, and we are immensely grateful for their continued support in all that we do. Celebrate our latest award with a FREE bottle of Barnaut. Last night we picked up the award for London Wine Merchant of the Year 2012 at the International Wine Challenge - for the fourth year in a row! Once again Lea & Sandeman had to fight off stiff competition to win this award, and far from being complacent we are already thinking about how we can improve every aspect of our business in order to be in line for next year's award.